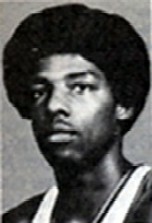 Drafted: Selected by the Milwaukee Bucks in the first round (12th pick overall) of 1972 NBA Draft. He also played 30 games on the Squires with Gervin! He's in my top five, for sure. We all know how Doc J could get his with ease, scoring in close or from a distance using his deep bag of tricks. But, seriously, I dont know anyone with the rebounding numbers he had in college, not even the 7-0 stiffs who came before and after him. Anyone remember when he and Charley Scott did time together on the Virginia Squires? Id pay serious money just to go back and time and see those two operate. Funny thing but I remember almost no hype about Doc when he came out of high school, and I grew up next door in Queens NY. Then again, high school sports coverage was lousy at the NYC papers (e.g., Daily News, NY Times, Journal American) in those days. Another thing I liked about him: Whether he crammed on you or gave you a facial, Doc maintained the same poker-faced expression. i think Dr.J was one of the best players in the NBA.